Bobby Charlton loves golf, in particular playing and collecting balls. The 68-year-old retired resident of Collingwood, Ontario, Canada has been playing recreationally for 30 years. He plays about 75 times a year at various courses in North America, has an eight handicap and usually hits the ball straight. 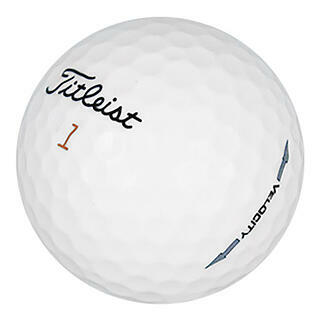 Bobby’s brand ball of choice is a Titleist Velocity because his club head speed at impact isn’t as strong as people considerably younger and thus he needs something with a softer cover to “pop off the end of the club.” Golfers with club head speed greater than 100 miles per hour prefer a harder cover. While Bobby golfed when he was growing up, he didn’t have the time to commit to it seriously because of work and marriage. On a recent trip to Scotland, he brought a brand new ball with the imprint of the Old Course at St. Andrews. It cost five pounds, which is about a little more than $10, but it was a memento that he felt was well worth it. He also bought some other souvenirs for himself and other people. It was the chance to see the historic St. Andrews course that made the trip to Scotland extra special. 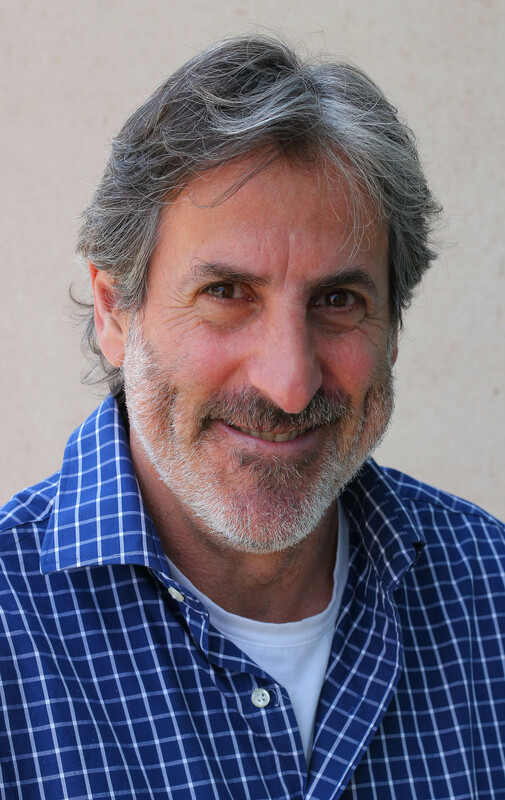 “To see the stone bridge on the 18th fairway…I’ve been there, I’ve stood there, held the flag on 18, I’ve walked part of the course, it’s pretty amazing,” he said. In addition to playing golf, Bobby enjoys collecting golf balls. 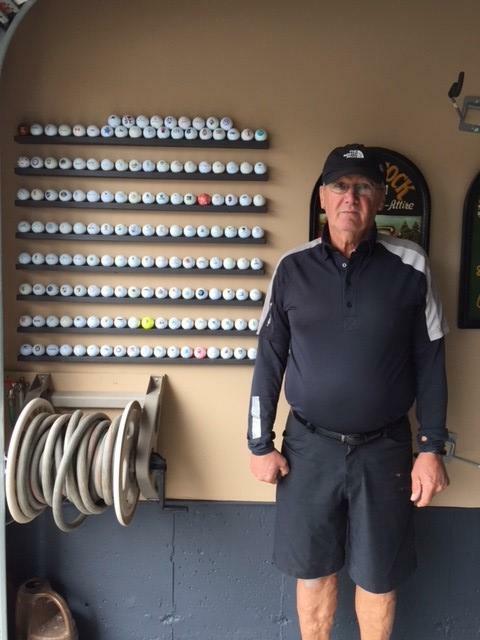 In fact, he has amassed a collection of 156 balls from different courses. He has found 90 percent of the balls at Monterra, his home course which is part of Blue Mountain, a popular North American tourist spot. In his collection is a ball from the Old Course at St. Andrews (not the one he bought). He also has balls from Augusta National, Torrey Pines, Pebble Beach and Glen Abbey. Some other balls in his collection come from Hawaii and Bermuda. I found all this out because Bobby’s sister, Donna Ezra, and her husband, Maury, are good friends of mine. They know I’m always looking out for interesting stories, and when I heard about Bobby I wanted to talk to him about golf and his golf ball collection. How and why he started collecting balls is something not uncommon for golfers. They find a lost ball in the woods or the rough or near water and keep it. In Bobby’s case, he became bored because of slow play and decided to go hunting for balls. 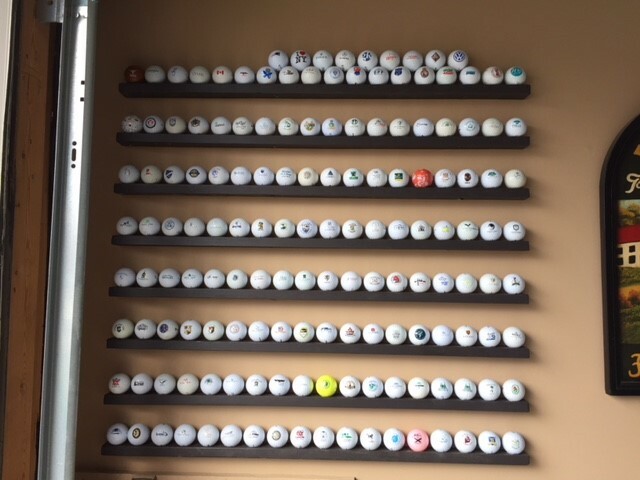 Some friends suggested he turn these found balls into a collection, something he began four years ago and has put it on display at his home. He is not averse to going into areas that may have poison ivy. When he finds balls from a course that he already has in his collection, he cleans them up with a ball washer he has at home and gives them away. “My son-in-law likes Pro V1s, my brother-in-law likes TaylorMade so I give them to him, somebody else likes Bridgestone, somebody else likes Callaway,” he said. I think it’s kind of cool what Bobby does as part of his passion for golf and has turned a hobby into a way to help raise money for charity.